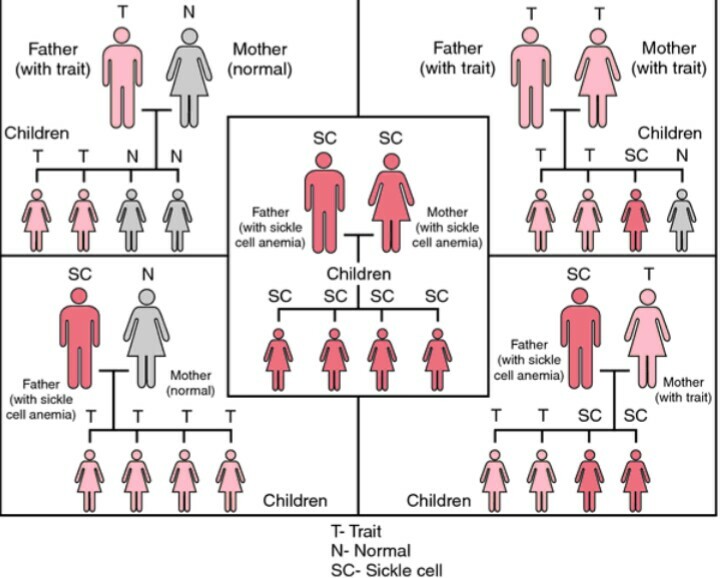 The probability of having a child with SCD is dependent on the genotype of each parent. Love, according to the Merriam-Webster dictionary is a strong or constant affection for a person while logic, simply, is a proper or reasonable way of thinking about or understanding something. Conventional wisdom dictates that these two are mutually exclusive. After all, how can anyone attempt to be smart or logical about love? Lori Foster says, “But love was strange. It distorted your perspective and played havoc with your logic”, and Woody Allen, “The heart wants what it wants. There is no logic to these things. You meet someone and you fall in love and that’s that”. 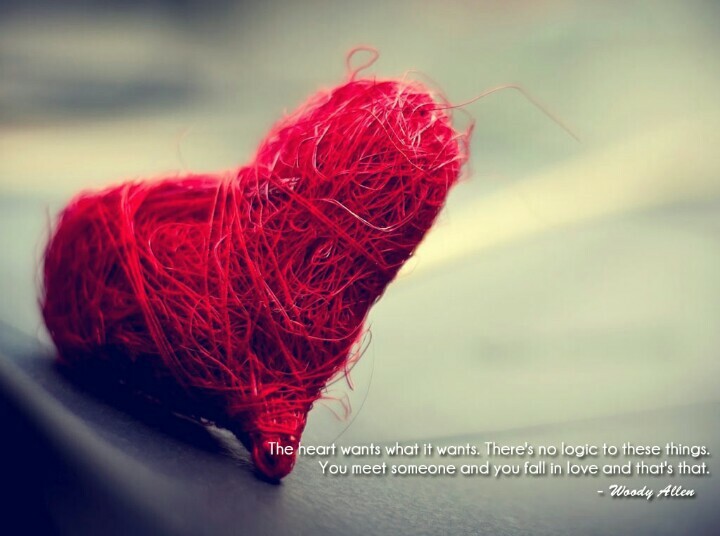 Thus, the often asked question “Should I consider this with love or logic”? This question arises for many young people who discover, often quite late, usually during marriage counseling when they are sometimes obliged to take sickle cell tests, that, they both have the sickle cell trait. After all, 1 in 4 Ghanaians has the sickle cell trait. This of course, feels like being stuck between the devil and the deep blue sea. There is “boo/ bae” on one side and a probability of passing on a genetic disease to a child if they decide to have children together on the other. Of course, some people opt not to have children together or adopt, and those are valid options too. They may be advised to break up, depending on who does the counseling, but considering that this discovery is at a point when people are planning marriage ceremonies, it is often ignored. Hence our call for people to know their sickle cell status early and choose partners based on it, rather than discover it at a point where there is more love than logic in a relationship. For those already in this situation, it need not be a catch-22. Rather than being constrained to make a decision based on one or the other of these, we recommend you use both. Yes, consider the situation carefully using both love and logic. How, you ask, well, let’s consider logic first. Logically, we know what sickle cell disease is. Scientist and doctors for over a century have studied sickle cell and gained more knowledge about the disease. The mechanism by which it occurs, causes disease and spreads are all known. This same knowledge enables us to prevent its spread by simple decisions. We have patient accounts of how sickle cell disease has wrecked their bodies and lives all over the internet. Family accounts of the financial and emotional toll sickle cell disease has on them. We have heard several stories of loss and yes, some of triumph. For those of triumph, it would take further inquiry to know exactly how those successes were achieved despite sickle cell disease and to honestly assess one’s self and determine if you have the financial standing to provide the quality of life that promotes success despite sickle cell disease. Certain people, doctors and marriage counsellors no less, tout the progress made in science and medicine thus far as a reason to ignore the warnings and go ahead with marriage even when there is a high risk of passing on Sickle Cell Disease to a child. Of course, all decisions related to sickle cell disease are personal. The final choice is personal. This year alone, I have heard three people blame their decision to go ahead to get married on counsellors and health workers, because, in their opinion they were not given enough insight about sickle cell disease. I honestly cannot have any sympathy for them. Whereas 20 or 30 years ago, it might have been forgivable, in today’s knowledge economy no one is allowed to blame anyone else for their ignorance and decisions based on that ignorance. Of course quality of life, care and life expectancy of persons living with sickle cell disease have improved drastically. However, a decision should always be made in context. So, considering your financial status and geographical location, would your child benefit from any of these successes? For example, if your child happens to be at high risk of strokes due to sickle cell disease, what are the odds of you being on an effective and safe monthly transfusion regimen? If your child needs sickle cell related surgery or admission, what are the chances of the hospital where you are are having adequate personnel and facilities to provide that emergency service when needed. These factors influence success, so can you objectively be assured of these? Others can, but can you? Is in vitro fertilization (IVF) with genetic selection available to you? Can you afford it? What is your opinion on genetic selection of fetuses? Are you pro-choice (abortion)?How many sickle cell positive fetuses are you willing to abort? Are bone marrow transplants available to you? Can you get a match? Can you afford it? These are personal questions, consider them carefully when someone suggest the advancement in medicine to you. Can I ever afford it, will it ever be available to me? Make it personal. Some things are avoidable, sickle cell disease comes with a lot of medical, emotional and financial needs just like other chronic diseases. The option to prevent it is available, thus one has to consider logically, their setting, the health system where they are and whether the gains made in science and medicine are readily available to them in coming to a decision. Then consider, if you can afford it, of what use is that money to a child who may have a better quality of life than other children with sickle cell disease, but will still have their lives interrupted to ensure that it happens. In effect, never really like children who do not live with sickle cell disease. And for those who blame their counsellors and doctors. These people provide information based on their experience. You make the choice, no matter how strongly they suggest one point or the other. They will not be a part of your life if you happen to have a child with sickle cell disease and need multiple admissions etc. Even worse, explaining away your choice to your child may not absolve you of the resentment they may feel against you, when they get to the age of understanding that their illness could have been prevented by a simple decision. Decisions such as women advised to take folic acid to ensure proper neural tube development of their babies, requested to have children when younger to avoid chromosomal abnormalities or advised to avoid teratogens to prevent congenital anomalies. Then there is love. The love argument always gets me. Love is amazing, I love love, but love so far, has not cured diabetes, hypertension, asthma or sickle cell disease. Does it improve the quality of life of the patient? Absolutely, but why make that choice in the first place? I have heard several stories of the love fading after having a child with sickle cell disease. Life is hard as it is, but consider that two people who love each other cause the pain of another person they both love. It rips people apart, seeing a child constantly in pain, avoidable pain, at that. Sometimes it is guilt, sometimes the cost of care but then sometimes, it is a desire to have “normal” children. A woman shared how after 6 years of marriage her husband was advised by family to leave and stop having sick children. The idea was to go have healthy children elsewhere, of course this is flawed. Sickle cell disease is caused by a combination of parental genes, but if he went on and found someone without the trait, as we advise people, maybe the distress to the woman who was now a single parent of 2 children with sickle cell disease would have been avoided. So, for love, love for your partner, love for your children, love for each other, you just might decide to opt out because of this greater love. And for those who argue that it is about probability and faith, well, even a 25% chance in each pregnancy, for an AS/AS (ie. Both have the sickle cell trait) couple is too much of a chance. Say, by empirical evidence and science you are informed that on a given day, if you use a particular vehicle at a particular time, going at a specific speed, given the condition of the road, other vehicles and the weather, there is a 25% chance of having a road traffic accident (RTA). Note; there is no mention of the severity of the RTA, you could come out unhurt, loose your legs, get blind or worse still, die. But for now, all the information you have is a 25% chance of an accident, what will you do? Love can be logical, but waiting till you start planning your wedding to decide, puts you in undue distress. Our suggestion, get tested now, know your status and be logical about who you decide to engage in a romantic relationship with. The final decision however boils down to you. So, whatever YOU decide, ensure you make an informed decision, based on as much information as possible. Ensure that you are emotionally and financially capable of living successfully with that decision and giving your child the very best of everything, and please be ready to take the fall for whatever you decide on. This entry was posted in Blog and tagged Ghana, health, sickle cell awareness, sickle cell disease. Bookmark the permalink. Wow, wonderful piece. Thanks Enam. Keep on keeping on. Did the test last week,I must confess I was a bit scared when I walked in with my girlfriend to get tested.we have been together for a year now and I didn’t want anything of this nature destroying what we had worked hard to build. TO cut it all short I ended up walking away a happy man not only with the test results being good but the free advice and additional information I acquired,everybody really need to do this. We’re very happy for you too. We are glad our message is being received and people are being empowered to make informed choices. “everybody really needs to do this” -we love your message. Thank-you, we wish you and your girlfriend the very best. I really feel proud of myself right now. I told two friends point blank that they should quit their relationship because they were both AS. It was not easy to say. Thankfully they heeded to my advise. Keep up the good work. Thank you. Thank you Azumah. We are proud of you too. We all need to step up and educate others about sickle cell disease. At Sickle Life we provide all the information and leave the couple to make an informed choice. Our hope is that with the information received they will make the right choice.